Education is to the basis of Taiwan progression, and teacher cultivation to the priority of it. In 1899, Taiwan elementary education thrived and required Taiwanese teachers as Public School teachers (now called elementary school teachers). Taichung Normal School was established in Changhua Wunwu Temple at the time, Taipei Normal School in Taipei Dadaocheng, and Tainan Normal School in Tainan Sanshang King Temple. With the President 木下邦昌 and sixty school faculties efforts, Taichung Normal School, the former of National Taichung University of Education, was the preface to the history of Taiwan teacher education. In 1902, Taichung Normal School was not well processed as anticipation. The School and Taipei Normal School were suspended at the time and the one in Tainan as well in 1904. However, Taiwan rudimentary education has already popularized in 1923. At the same time, Japan government announced that Taichung Normal School affiliating to Taiwan Governor General Administration was reestablished in Taichung 川端町及後壠子 (No.140, Minsheng Rd.,West District, Taichung City). On the day of opening ceremony, President 大岩榮吾standing on an old plow declaimed to six teachers, one clerk and 95 students. “Taichung normal school now arises and the rough dorm is enclosed with. It may foster the future prospects and burden with great responsibilities. I urge you all to strive for our new school.” This inculcation brought National Taichung University of Education the nearly hundred year education mission. In 1943, the School was merged with Hsinchu Normal School to Taichung Teacher School (Junior College) of Taiwan Governor General Administration. Taichung Teacher School, at the time of Japanese occupation, nurtured two thousand more Taiwanese teachers who were all Taiwan elites and in addition, gave fresh impetus to Taiwan modernization. In 1945, the government promoted the School to Taiwan Provincial Taichung Normal School. Mr. Hsueh Chien-Wu was the first president and then led the School to the era of Taichung Normal School. It came with a governmental movement and at the time within 1946 to 1949, there were four gentlemen, Hung Yen-Chiu, Liao Ying-Hua, Wang Yu-Lan and Huang Chin-Ao, taking charge of the School. President Liao encouraged all the faculties and students and wrote down the alma mater for school– One to be others' model is the light of the nation. President Wang left a motto of “setting a good example with one's own conduct,” and President Hung accomplished teacher spirit of free and living education from 1949 to 1960. It established a concept of model teacher training and helped school advancing toward the time of Teacher Junior College. In 1960, the sixth president, Mr. Chu Hui-Sen , formed a democratic and liberated atmosphere on campus and took the lead in upgrading the school and renamed Taiwan Provincial Junior Teachers College which then went into the first transformation-Teacher Junior College. Subsequently in 1967, Mr. Lo Jen-Chieh held the School as the second president. He marked the school motto-loyal, firm, diligent and plain-four spirits based on Confucian culture and expected the School formed with loyal responsibility, firm perseverance, diligent conduct, and plain attitude. According to the democratic concept and four spirits, the third President Chen Han-Tsung proceeded dorm construction, developed reading climate, and promoted extracurricular activities in 1981. During the time of Teacher Junior College, the School established refined and professional academic ideal and it animated the School to a modern academic institution. The School was advanced to Taiwan Provincial Taichung Teachers College in 1987. From hiring Mr. Chien Mao-Fa the first president, the college stepped into the second transmutability. Present Chien focused on promoting educational specialized and nourishing intimate and caring teachers. At the year of 1991, it had been promoted to National Taichung Teachers College and 1994, in keeping with Taiwan diverse society, the second President-Liu Hsiang-Chuan specialized academic education. In 2000, the third President Lai Ching-Piao aggressively extended the second campus, adjusted the curriculum to cultivate students' multi-capability. Meanwhile, continuous enabling students of not only professional but also distinguishing features are the main school policy and it catalyzed the centenary school toward another epoch. President Lai and all the colleagues aimed at “stepping forward” and went through the next transformation by 2005. Hand in hand, they started the times of National Taichung University of Education. The next year, the second president of NTCU, Dr. Yang Szu-Wei, integrating the past social theory with refined ideal and academic professional, enabled non-teacher training students of pro-abilities and teacher training students of novel teacher spirits. Both refined specialists would make NTCU a model school of higher academy and in the future, the top in the region, the head in Taiwan and a distinguished liberal arts university in the nations. The campus still resound with the inculcation spoken by President 大岩榮吾, “…I urge you all to strive for our new school,” and the past hundred thousand graduates leaving the Gothic building sang “Formosa, bristling NTCU, majestic in its variety…” It is still sung in every corner of Taiwan society and NTCU advances in the history toward the new age. 1899 Established in Changhua Wunwu Temple. 1902 The School was suspended and the students were transferred to the Taiwan Mandarin school and Tainan Normal School. 1923 April School reestablished. Practicum was established with a maximum study period of seven years. 1928 April The main building (Administration Dept.) was completed and the affiliated elementary school was established. 1943 April The school was upgraded to a teacher school (junior college) and instituted the access course in Hsinchu normal school. 1945 August The Japanese occupation of Taiwan ended when the government surrendered to the Allied forces. The affiliation of the school with Taiwan Governor-General Administration also ended. December The government official, Mr. Hsueh Chien-Wu, took over the school which was renamed the Taiwan Provincial Taichung Normal School. A three-year program of general course was instituted for junior high and vocational junior high graduates. 1946 September Mr. Hung Yen-Chiu, be the president and extend three year art teacher training department. 1948 March Mr. Wang Yu-Lan, be the president. 1949 July Mr. Huang Chin-Ao, be the president. 1960 February Mr. Chu Hui-Sen, be the president. September The school was promoted to Taiwan Provincial Junior Teachers College and a three year program of elementary education courses was instituted for general and special education teachers, and senior high and vocational senior high graduates. 1963 August The school initiated a five-year day program and an evening-school program for training elementary school teachers. 1967 September Mr. Lo Jen-Chieh, be the president. 1968 July Summer courses division was set up and the school recruited elementary school presidents and teachers for refresher courses. 1973 February The school extended of summer open courses and recruited elementary school teachers with two year refresher courses. 1981 December Mr. Chen Han-Tsung, be the president. 1987 July The school was upgraded and renamed Taiwan Provincial Taichung Teachers College, which was comprised of Elementary Education Department, Language and Literacy Education Department, Social Studies Education Department, Mathematics and Science Education Department and Early Childhood Teacher Education Program. Dr. Chien Mao-Fa, be the president. 1988 July The summer course division was switched to Division of Continuing and Extension Education and the school recruited elementary school teachers for refresher courses. 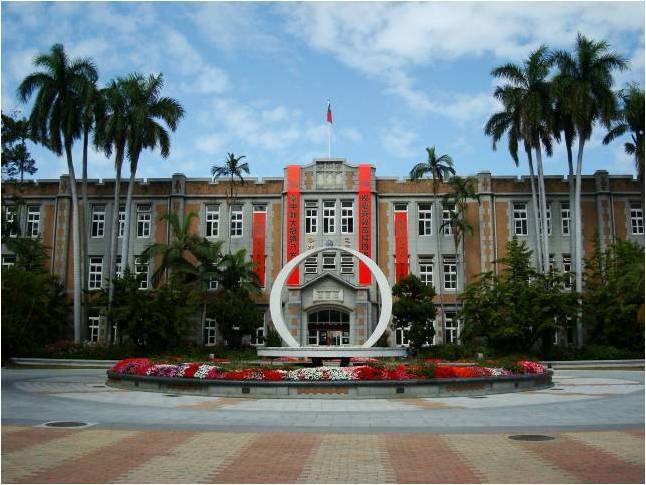 1991 July The College became affiliated with the Ministry of Education and was renamed the National Taichung Teachers College. 1992 August The College established the Graduate Institute of Elementary and Secondary (Education in August 1995), the Department of Early Childhood Education, and the Department of Fine Arts and Crafts Education. 1993 August The College established the Department of Music Education and the Department of Special Education. 1994 March Dr. Liu Hsiang-Chuan, be the president. 1997 August The College established the Graduate Institute of Educational Measurement a Statistics. 1999 August The College established a master's program in the Department of Mathematics Education. 2000 August The College established the Graduate Institute of Counseling and Educational Psychology and a doctoral program in the Graduate Institute of Elementary and Secondary Education. Dr. Lai Ching-Piao, be the president. 2001 August The College established the Graduate Institute of Special Education and Assistive Technology and a master's program in the Department of Language and Literacy Education. December The College built Qiz-Zhen Building. 2002 August The College established a master's program in the Department of Social Studies Education. 2003 June The College accomplished ground alteration from fifty level grounds to a college. August The College established the Department of Early childhood Education and a master's program in the Department of Fine Arts and Crafts. 2004 August The College established the Department of Taiwanese Languages, the Department of Information Science, a doctoral program in the Department of Language and Literacy Education, the Graduate Institute of Curriculum and Instruction, the Graduate In statute of Instructional Technology, and the Graduate Institute of Early Intervention. The Graduate Institute of Elementary and Secondary Education and the Department of Elementary Education were combined and named the Department of Elementary and Secondary Education. 2005 August The College was upgraded and renamed National Taichung University of Education, and the Department of English Education, the Department of Digital Content and Technology, the master's program in the Department of Physical Education, the master's program in the Department of Music Education, and the doctoral program in the Graduate Institute of Educational Measurement and Statistics were all established. 2006 August Dr. Yang Szu-Wei, be the president. The Department of Elementary and Secondary Education was renamed the Department of Education; the Department of Fine Arts and Crafts Education was renamed the Department of Fine Arts; the Department of Music Education was renamed the Department of Music; the Department of Natural Science Education was renamed the Department Science Application and Dissemination; the Department of English Education was renamed the Department of English; the Graduate Institute of Counseling and Educational Psychology established an undergraduate program and was renamed the Department of Counseling and Applied Psychology; the Graduate Institute of Special Education and Assistive Technology was merged into the Department of Special Education; and the Graduate Institute of Instructional Technology was merged into the Department of Digital Content and Technology. November The president of Thailand normal school came to Taiwan for an academic communion. 2007 January The College cooperated and contracted with Johnson Health Tech. Co., Ltd.
February The Office of Research and Development was founded and the Division of Continuing and Extension Education was adjusted from the second level unit to the first. March The College contracted with Joy Enterprises Organization . April The College contracted with Kent State University, Ohio, Indiana State University, Indiana, Fontbonne University, Minnesota, and Columbus State University, Georgia. August The Center for Teacher Education affiliated to the Academic Affairs Office was adjusted to the first level unit and named the Center for Teacher Education and Career Center. 2008 August The University added the Department of International Business, the Graduate Institute of Business Administration, the Graduate Institute of Tourism and Recreation Management, and the Bachelor Degree Program of Cultural and Creative Industrial Development. 2009 January NTCU set up the Contact Office for National Taichung University in Bangkok Thailand and also contracted with Rajamangala University of Technology in Thailand. March NTCU contracted and consulted on a joint program with Kent State University, USA. April NTCU contracted with Changchun Normal University, China. June NTCU contracted with Ashland University, USA. The Department of Social Studies Education of NTCU signed a contract for a joint program with Kent State University. July NTCU held the 2009 China and Taiwan student debate competition. NTCU contracted with University of Da Nang, Hanoi National University of Education, Hanoi University, University of Economics Ho Chi Minh City, Ho Chi Minh City University of Education in Vietnam and Zhangzhou City University, China. October NTCU opened up an overseas Chinese Language MA Program. December NTCU established the Sustainable Tourism Center and contracted with Zhanjiang Normal University, China. 2010 January NTCU was honorably awarded the “2008 Friendly Campus” from MOE and contracted with HUE University, the College of Sciences and Humanities at HUE, the College of Education at HUE, and the College of Economics in HUE, Vietnam. February “Teacher Model・Poetry Trail” public art on campus(「師道・詩道」校園公共藝術) was opened. April NTCU contracted with Tianjin Normal University. June NTCU contracted with Osaka Kyoiku University, Japan. August Dr. Yang-Szu-Wei reappointed as the president of NTCU.